Add a beautifully refined feature to your space with this Capra arc floor lamp. Antique brass finish highlights this simple design with classic elegance. The slim profile is convenient and versatile, and will accommodate the existing layout of almost any decor. On/off foot switch. Overall: 70" high x 37" deep. Shade is 10" wide. Base is 14" wide. Weighs 34.98 lbs. Takes one maximum 60 watt standard-medium base E26 bulb (not included). On-off foot switch on the cord. 7-foot long silver cord. 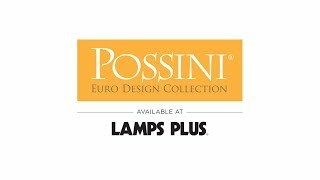 Capra arc floor lamp from Possini Euro Design. Non-adjustable arm. Head swivels side to side. Thought it would be an interesting piece to add to my living room, however I thought really hard on purchasing this item because right before I decided to purchase the item the price increased. I thought about calling customer service the next day about the price hike but I got busy and just purchased at the newly advertised cost. I will be monitoring this item to see if it lower in price within 60 days. I need a reading lamp for the corner of my sectional. I can use the LED bulb to maximize the lighting to get the equivalent of 100 watts sealed the deal. I like the style and finish. 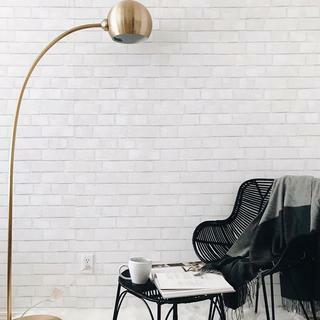 I like the brass and the shape of the floor lamp. Back in the early 1980s I owned a lamp just liked this one. Times got hard and I had to sell everything I owned just to stay afloat. But it was this lamp I missed the most. I've been searching for a duplicate 31 years! ! ! How do you put the base together? BEST ANSWER: Hi - Secure the base to the vertical pole with included washer and nut (wrench included). But what about the washers that are already secured on the body? Do those come off or stay on? BEST ANSWER: hi, the switch is located on the cord. The on/off switch is on the floor. It is apart of the cord. A circular piece with a button to step on. There is a good sized disk on the floor and it has an on/off button it. Disk is about 3" across. i would like to have a bright light 100 minimum, is it possible? BEST ANSWER: Hi - the recommended maximum wattage is 60 watts (incandescent). But, if you prefer more light output, you can use a 16 watt LED bulb which will have an incandescent equivalency to 100 watts, Style #1Y450. 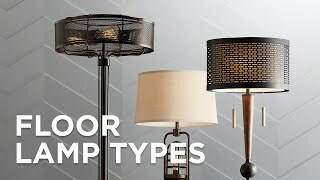 BEST ANSWER: The floor lamp does not have a dimmer switch. However, you could add a floor dimmer or remote dimmer to add that function. Click on the images below for more details. Can you bend and reduce the arc distance? BEST ANSWER: I'm sorry, the arc is not adjustable. what is the arc span? BEST ANSWER: The extension from the center pole to the outside edge of the shade measures 30 inches. Awesome lamp. It looks great over the corner of my sectional & high enough not to bother people’s heads. 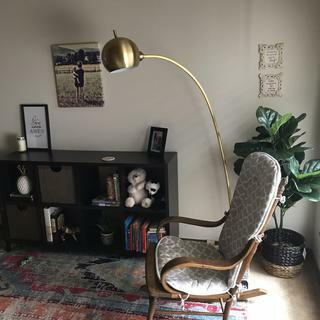 Good Looking Mid Century Style Brass Floor Lamp! It was a challenge finding a lamp with the correct height and arc for behind the chair. 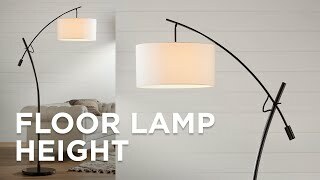 The finish is nice and the lamp substantial. 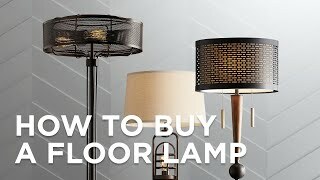 Working on transforming our living room into a room you want to actually live in. review here. It must be at least 10 characters long. Consider whether you would recommend this product and what you like or dislike about it. We hope you like the photo styled by @allisonclairmurray - look for more exciting images and video on our product pages! We hope you like the photo styled by @brookescheurnphoto - look for more exciting images and video on our product pages! We hope you like the photo styled by @momsinknots - look for more exciting images and video on our product pages! We hope you like the photo styled by @ttothen - look for more exciting images and video on our product pages! 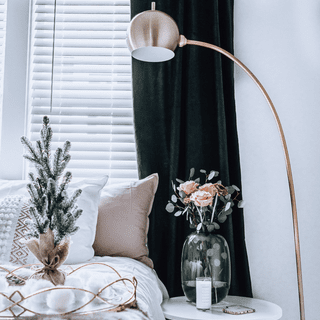 This beautiful lamp adds just the right touch to our reading nook. 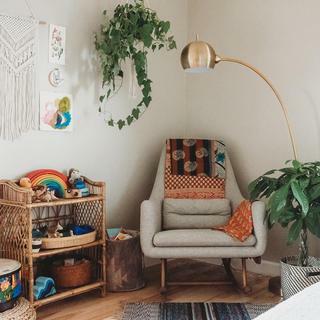 This beautiful floor lamp adds the perfect touch to this grandma’s reading nook.